Researchers at Dartmouth's Norris Cotton Cancer Center have published results from a study in Cell Reports that discovers a new mechanism that distinguishes regular hematopoietic stem cells (blood stem cells) from blood cancers. "These findings constitute a significant advance toward the goal of killing leukemia cells without harming the body's normal blood stem cells which are often damaged by chemotherapy." said Patricia Ernst, PhD, co-director of the Cancer Mechanisms Program of the Norris Cotton Cancer Center and an associate professor in Genetics at the Geisel School of Medicine. The study focused on a pathway regulated by a gene called MLL1 (for Mixed Lineage Leukemia). 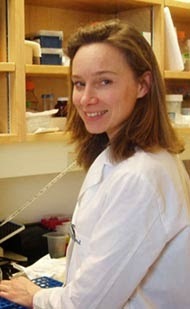 Ernst served as principal investigator; Bibhu Mishra, PhD, as lead author. When the MLL1 gene is damaged, it can cause leukemia, which is a cancer of the blood, often occurring in very young patients. Researchers found that the normal version of the gene controls many other genes in a manner that maintains the production of blood cells. "This control becomes chaotic when the gene is damaged or 'broken' and that causes the normal blood cells to turn into leukemia." said Ernst. The researchers showed that the normal gene acts with a partner gene called MOF that adds small "acetyl" chemical modification around the genes that it controls. The acetyl modification acts as a switch to turn genes on. When this function is disrupted, MLL1 cannot maintain normal hematopoietic stem cells. The researchers also found that a gene called Sirtuin1 (more commonly known for controlling longevity) works against MLL1 to keep the proper amount of "acetyl" modifications on important stem cell genes. Blood cancers involving MLL1, in contrast, do not have this MOF-Sirtuin balance and place a different chemical modification on genes that result in leukemia. 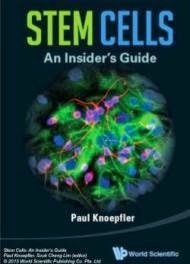 Hematopoietic stem cells also represent an important therapy for patients whose own stem cells are destroyed by chemotherapy. This study also reveals a new way to treat hematopoietic stem cells from donors that would expand their numbers. "These finding suggest that drugs that block Sirtuin1 may be combined with MLL1 blocking drugs in certain leukemia to both preserve stem cells that make normal blood at the same time as killing leukemia cells." said Ernst.